A new report has identified that the tree population of inner and outer London holds nearly 2.4 million tonnes of carbon and is sequestering an additional 77,000 tonnes per annum. This is equivalent to the total amount of carbon generated by 26 billion vehicle miles. The report, principally authored by Kenton Rogers, covered the whole of the Greater London area. 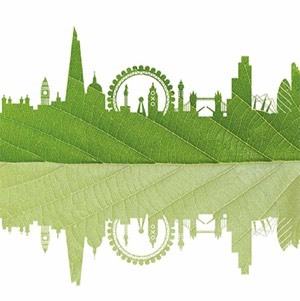 Indeed, the London i-Tree project is the largest survey undertaken to date worldwide using the i-Tree software. From the research it is estimated that there are nearly 8.5 million trees in the London area, providing canopy cover of 14%. A feature of the London i-Tree project was the use of over 300 volunteers to survey the trees and map the data plots. The involvement of local communities in measuring and appreciating the benefits of the urban forest, was an important aspect of the project. The report was co-authored by Keith Sacre and Jessica Goodenough, also of Treeconomics, and Kieron Doick of Forest Research and is a partnership project also including The Forestry Commission, Greater London Authority, Greenspace Information for Greater London, London Tree Officers Association, Natural England, Trees for Cities and The Tree Council. The project was kindly supported by Unilever. Download a copy of the London i-Tree report here. You can also view the data for the report here. For a printed copy or further details about a survey in your area, or for your property estate, please contact us.